I thought that after 2012, time would start to slow down a little bit - apparently not! 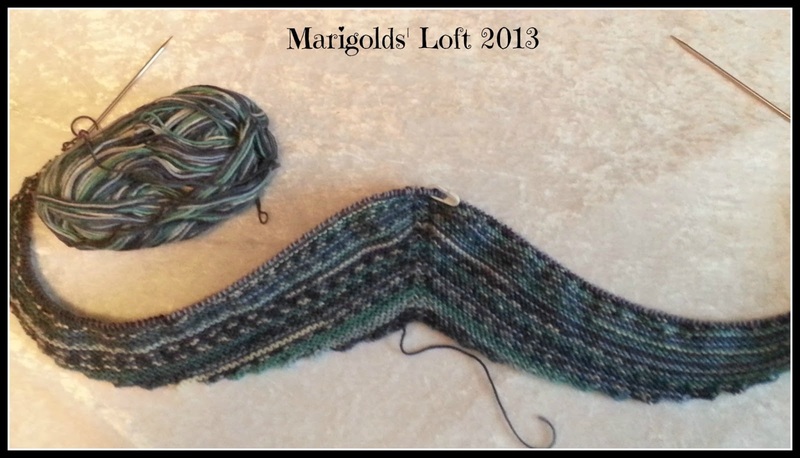 I am quite surprised at my monogamous relationship to my knitting this year. I am still busy with my scarf pattern from last week and am hoping to have it finished by Friday to show you all. My neck felt back to normal over the weekend and I managed to finish the cap and the FREE pattern I have been promising you all. 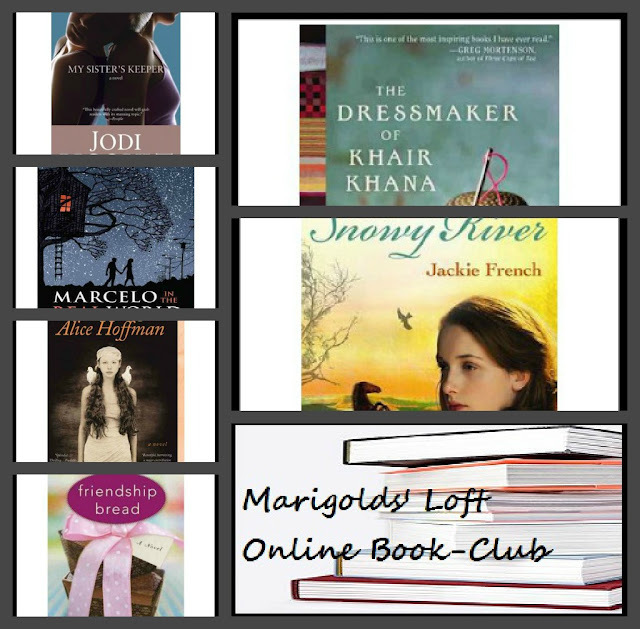 The final choices for our Online Book-Club: Book 2 are out for the vote and I would love it if you would cast your vote, (on the sidebar below Online Book-Club button) even if you don't want to take part. Even better is if you decide to join us - that would be awesome! It will be interesting to see which one of the choices wins. Come by and see what it will be and link up your creative goodies, I would love to see them. I will be linking up with Tami and Ginny today. Busy Natalie:) You have a good nose for beautiful projects. Hope you enjoy every little stitch! Have a super Wednesday, hope you are not too cold! Well done with the stash busting! Scarf yarn looks interesting, I know what you mean about long rows, my ripple has 219 stitches and sometimes I feel like I'll never get to the end of a row! Wow, 219 stitches! I dare not count mine. The Scarf yarn is from Drops, is rally nice to knit with, but then I am kinda biased when it comes to Drops, I love their yarns! I work on stash busting too, are you at Lindas Crafty Corner or Lanas de Ana? 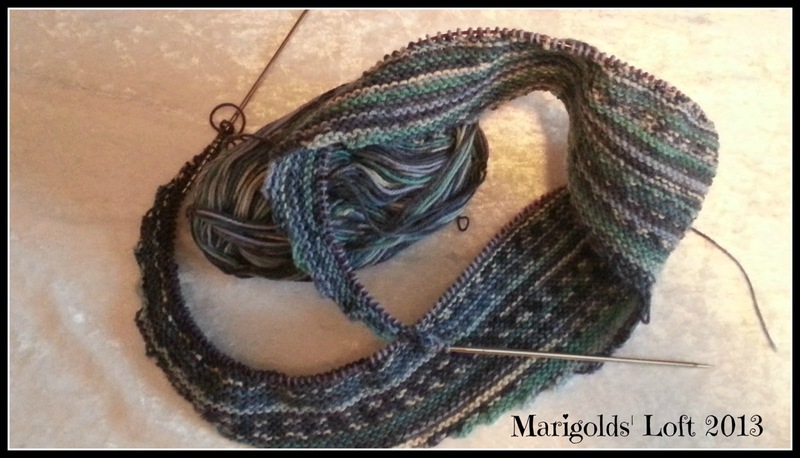 (Stash buster challenge 2013 - can you see at my blog, if you want ...) Your scarf looks pretty. Have a good week! 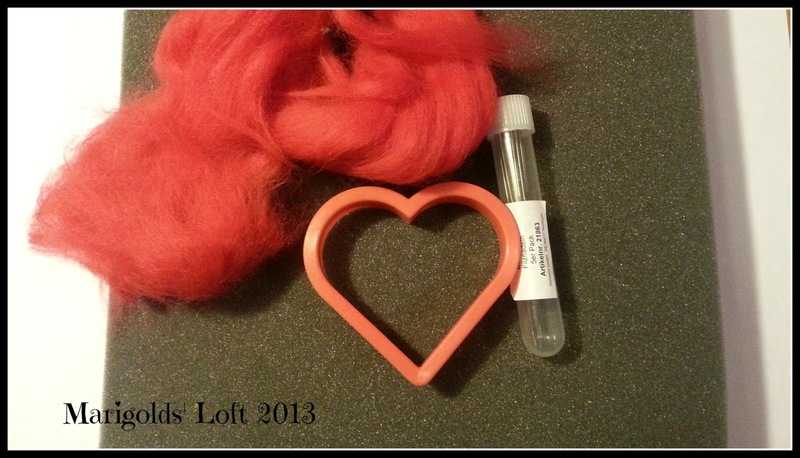 Well done on the stash busting and you've a lovely project going on. What lovely work! I look forward to seeing how the scarf turns out. Thanks for designing such a great hat pattern! Oh, it would take me ever so long (perhaps a lifetime) to work my way through my yarn stash. :) I've decided this year is going to be the year I finish writing all my patterns and finish all the projects I've laid aside! I picked up the first this week, a lacy shawl, and have made good progress. Happy knitting! I wish I could knit so wonderful as you. You're knitting is beautiful I love the colours. I can't wait to hear your thoughts on the book. ooh very cute patterns, very nice hat. I don't have time for reading groups BUT I would vote for my sister's keepers - it's awesome!! My Sisters Keeper definitely on my To-Read list. Wow wow! What beautiful projects. I should try that hat pattern to go with my mittens. Though it looks a bit more difficult than anything I've ever done! Here's to trying new things! 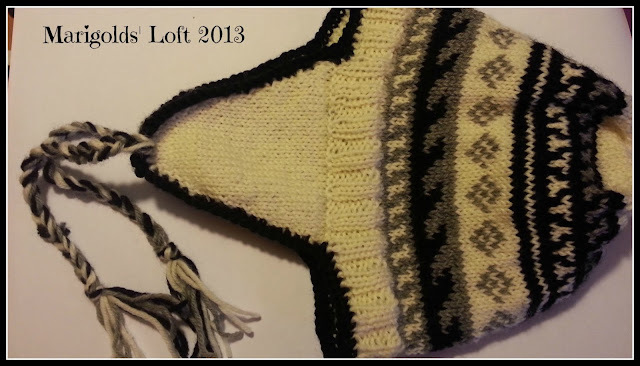 What a great earflap hat! Your scarf is coming along nicely. Lovely cap! Thanks for sharing the pattern. Love the hat! and your shawl looks lovely.